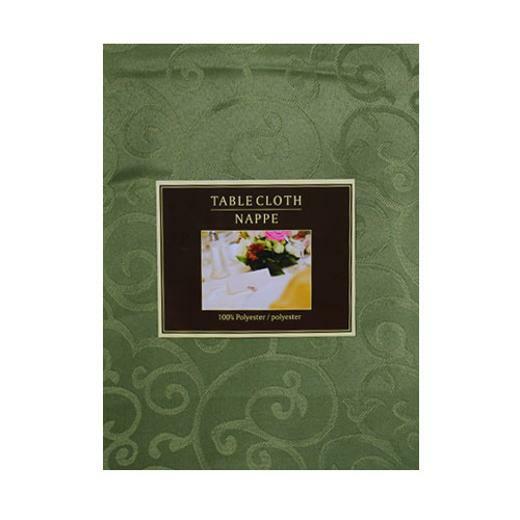 Add a touch of luxury to your next event with our 60 inch x 90 inch Sage Green Swirl tablecloth. Made of 100% polyester, every elegant tablecloth is machine washable and wrinkle resistant - making it the perfect addition to any wedding or engagement party. One tablecloth fits one 6 - 8 person table. 60 in. x 90 in. L: 13.0 in. W: 10.0 in. H: 1.0 in.